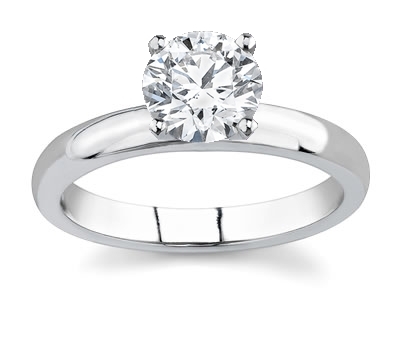 This 14k white gold engagement ring features a simple and clean solitaire design. 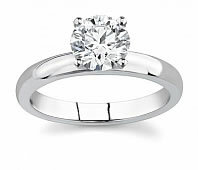 The clear purpose of this ring is to perfectly display the dazzling center diamond you choose just for her! For an added benefit to the wearer, this ring has a rounded inside edge for the desired comfortable fit.